Rosie carved her first piece of stone in her early 20’s. She was apprenticed variously with sculptors and then studied sculpture at Sir John Cass and City and Guilds Art Schools in London. 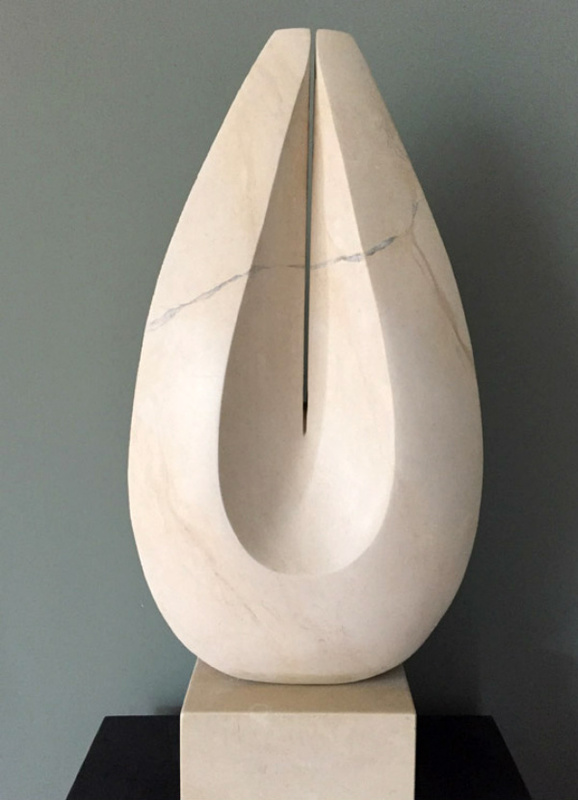 These pieces exhibited at Delamore are characteristic of her approach, their simplicity of form drawn from architecture, ancient artifacts and from the natural world. Rosie has been carving for over 20 years. Her sculptures are widely exhibited. Some can be found in the public arena, but most find their place in gardens and domestic spaces. She is a member of the Royal Society of Sculptors and now lives in Bristol.